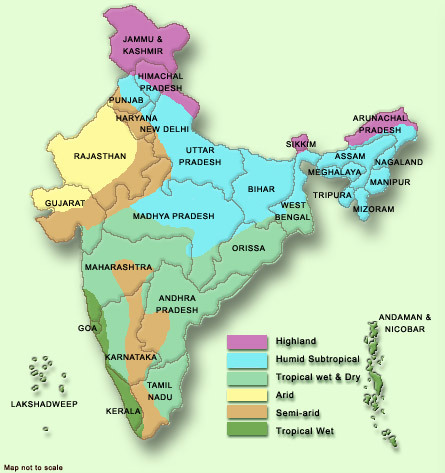 Hi I was wondering if anyone has any suggestions on a good film/documentary that would help me learn the geography of India. I find it overwhelming looking at maps and I thought it might be good if there was a video out there that would sort of break down the areas, how they differ/how they're similar/what to see. I know I can read about this, but if I can visually see it, it sinks in a bit more. Anything helps even if the video itself it not specifically on the geography. A tourist attraction video might work too if it talks about all the different areas. I just don't know where I want to go! I also kind of need to know because I'm getting travel vaccines soon. I just don't know where I want to go! I also kind of need to know because I'm getting travel vaccines soon. ! What vaccines? And when are you travelling? - narrows the choice a bit. I can't think of any films/documentaries that cover the whole of India but there are lots of great photographic guidebooks that you could buy/borrow. Most will have suggested itineraries depending on how long you are going to stay, what kinds of things you want to see/do etc. Have you made any decisions yet? e.g. when you are going to travel (weather may be a factor in some places at certain times), how long you'll stay, which airport you will fly into/out of ? Why did you decide to go to India? There must be something that attracted you, that could be the starting point for a plan. What do you like to do when you're on holiday in other places? Have a look at some of the photo travellogues on this site, I can recommend Davidx2, he's only just started but it will give you a real insight into trvelling in India & the photos are fabulous. There are many others too. - i am very interested in spiritualities (buddhism predominantly, but also jainism, sikhism, hinduism... that is to say, ancient temples are of the most interest to me. - my travel buddy and i are a little more of the opinion of feeling like we'd rather immerse ourselves in the culture as much as possible (safely, of course), VS being tourists and hopping from spot to spot constantly. this is a bit hard when you want to see everything in a huge country full of history. it's also hard considering the next bit..
- time limit... we are thinking about a month in india. i would say max 2 months. - quite personally, from what i've read thus far, the south sounds a bit more my style than the north... i am also not really that interested in places that i've heard are more dangerous such as delhi. but any suggestions are welcome. i just wanted a video so i could get a sense for the distinct architecture and culture of each part, if at all possible. 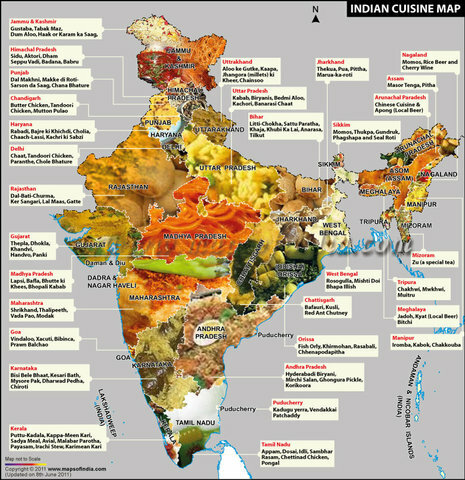 There are ample number of videos in youtube about the cities / towns of India. Take a few days to go through this site. Type any questions that come to your mind in the search box at the top. Most of it must have been already answered. Once you have gone through the site and read the information available it would be easier for you to decide where to go. As every coin has 2 sides, you will find contradicting opinions about quite a few places. Prime example being Varanasi. Many members love it, many members hate it. One thing is for sure either you will love India or hate India. There is nothing in between because either the good experience will out number the bad ones or the bad experiences will out number the good ones. I'm sure it is all expensive when you fill yourself up with every jab going, anyhow, When are you travelling?.. rather determines which jabs may be relevant. travels begin around jan 2015. will end up in india in march, hopefully. would like to get there for holi! but yes my travel doctor told me you don't necessarily need the japanese encephelitis one if you won't be there in a rural area during monsoon season, which begins in may, correct? i don't think i'll be there in may, but i am not setting a definite time limit on it if i fall in love so it makes the decision a bit harder. let's assume, for the purpose of this chat, that i will be in india all of march and april. just in case it doesn't work as i'm thinking. Monsoon begins in June or July. But an infected mosquito may bite you in December. You may catch it, or not. Depends upon how strong your immunity is. March into April is wonderful in the hills, like Uttarakhand, where Rishikesh is, which you might be keen on given that you mentioned 'spiritualities' as an interest. Holi, usually in March, marking the arrival of Spring. My favourite location for that is Vrindavan in Uttar Pradesh, between Delhi and the Taj Mahal at Agra. You may want to see the Taj? and from there Jaipur, Rajasthan and a few other locations in Raj. makes sense. So with your itinerary you could work backwards so to speak.
. i am also not really that interested in places that i've heard are more dangerous such as delhi. Thank you, I feel like this is really good info for me. I am interested in seeing Varanasi as well... and the Elephanta caves, or really any caves for that matter. So much to see! It's overwhelming! Any other suggestions for ancient spiritual sites? Varanasi yeah, could come from there to Agra, in late Feb after the fogs have disappeared. You see, broadly outline the thing like that, and as time passes the details in between will emerge, you have to start somewhere but i wouldn't go jumping all over like a cat on a hot tin roof.